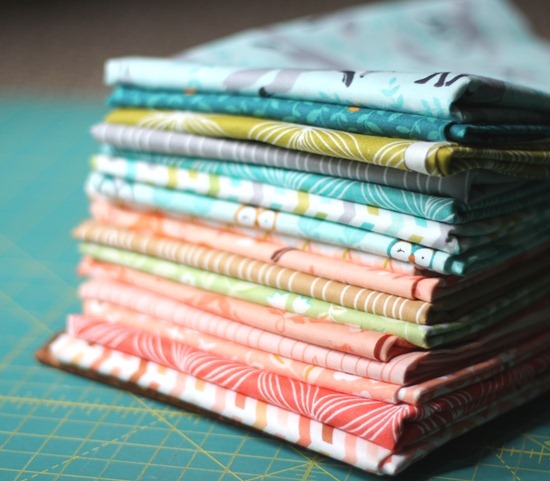 I haven’t bought fabric since August 16th…and for someone that sews a lot and doesn’t keep a large fabric stash…that’s a long time (okay not that long!). …almost. 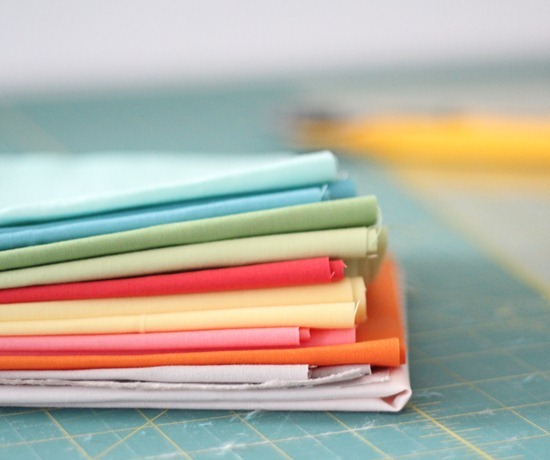 I’ll never get enough of hourglass quilts (tutorial here). She’s standing and chewing on the crib rail when I’m not looking. There are little teeth marks from each of my babies on the rail…and it makes me all sappy and tears well up in my eyes when I look at them. Cute as they are…I need to buy a rail protector so she’s not eating crib bits! Beautiful fabric. I must say that I just love your hourglass quilt. I am currently working on one now as we speak that I hope to finish up in a couple of weeks, so thanks for an amazing tutorial! Pretty fabric but I must say that Baby bundle is cutest of all! our babies are getting so big!! (my daughter was born march 1).Ella is also thinking she's pretty funny standing at the crib, but she doesn't have any teeth yet (I also have late teethers) so no teeth marks! Before we know it, they'll be crawling-Lord, help us then! I love that you're building bundles for them. Now it's like you building my stash for me with your great sense of color combinations vs my hit & miss picking! Your baby bundle has the cutest face! What a cutie pie. I miss those times. 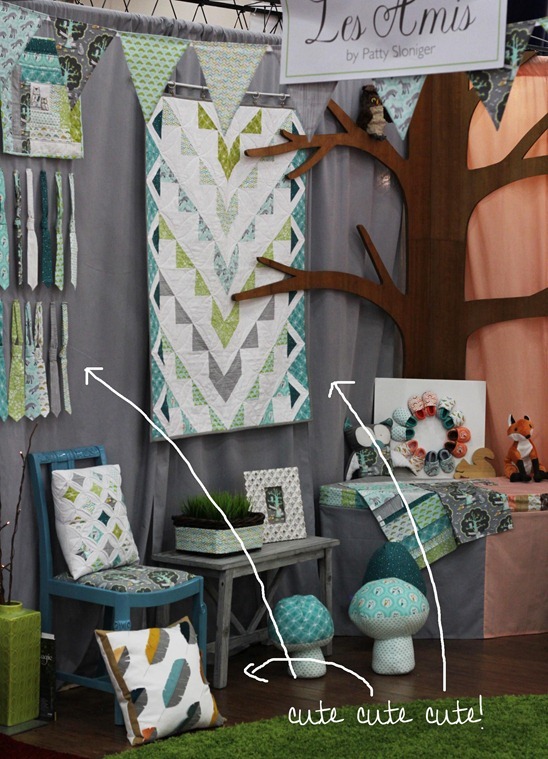 I was at a local fabric store, Quiltessentials Co. in St. Albert, Alberta, Canada and saw your pattern for sale there! I was like, "Hey! I follow Cluck Cluck Sew!" It was super awesome. I love that fabric. And the little one is so cute. What a precious little girl! Fabric is beautiful too. I saw, somewhere, where you can make a quilted rail cover for your crib with fabric. I cannot for the life of me remember where I saw this but thought maybe you could make one? Hehehe like you don't have enough things to do right? Merry Christmas to you & your family! I can't believe how big your pretty girl has gotten! 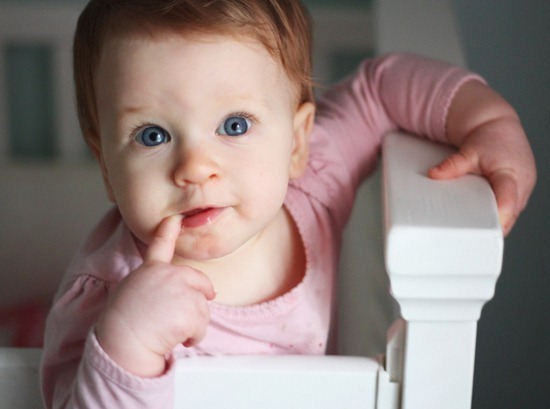 Just in case you are interested, there are some great patterns for quilted crib rail covers on Pinterest…I'm working on now for my baby girl's crib…she's not nawing yet, but close! Beautiful girl. It goes so fast. Enjoy! Lovely fabrics, but I like the red-haired, blue-eyed bundle the best! Cute Kid!!! Love all the fabrics. I bought some! 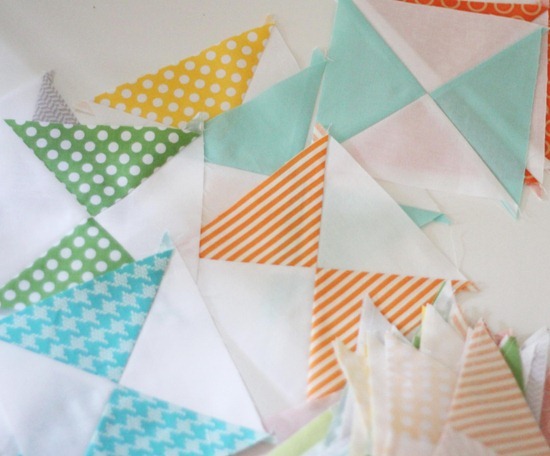 Going to be perfect for my friend's baby boy quilt! !